And I still believe it…. While the Dog could certainly be wrong…. Criminal Cases against these Mega companies very seldom yield big results…. And with an election coming in November and two years from now…..
You don’t want to bite the hand that feeds you…..
A spokesperson for the Manhattan U.S. Attorney’s office declined to comment. Goldman declined to comment. Goldman shares fell 2.6% in after-hours trading to $156.08 after The Wall Street Journal reported the news of the investigation. At the 4 p.m. market closing, Goldman shares were up 2.1%. The SEC and Justice Department often coordinate their actions on investigations. The probe underscores heightened efforts by the Manhattan U.S. Attorney’s office in prosecuting white-collar and Wall Street crime. It is in the midst of pursuing the largest insider-trading case in a generation, charging 21 individuals and negotiating 11 guilty pleas in that matter. But the Goldman probe presents a significant challenge for the government. Prosecutors in the Brooklyn office of the U.S. Attorney last year lost a high-profile fraud case against two former Bear Stearns Cos. executives, in the first major criminal case linked to the financial meltdown. Prosecutors had accused the Bear Stearns employees of lying to investors in 2007 about the health of two funds that eventually collapsed. The case centered on what the government viewed as incriminating emails indicating the traders knew the mortgage market would fall but didn’t disclose that view to investors. To bring any criminal charges in the Goldman matter, prosecutors would need to believe they had gathered evidence that showed that the firm or its employees knowingly committed fraud in their mortgage business. Proving such intent to break the law typically is the toughest hurdle for prosecutors to clear. Another stumbling block: Such financial cases can be highly complex. The House rolls out a Puerto Rico referendum……. Want to join the Union, remain as a Commonwealth……or other? If the vote is to formerly join the Union..they would then vote to have….. If it where to become a state it would get 6 House seats based on it’s population………. It currently has Governor and One Non-Voting seat in the House of Representatives…..
Pedro Pierluisi, Puerto Rico’s nonvoting delegate to the House, said that while the island has had votes on similar issues in the past, Congress has never authorized a process where Puerto Ricans state whether they should remain a U.S. territory or seek a nonterritorial status. Today, Puerto Ricans serve in the military but can’t vote in presidential elections. They do not pay federal income tax on income earned on the island. In the last referendum, “none of the above” garnered 50 percent of the vote, topping the other options, including statehood at 46.5 percent and independence at 2.5 percent. Surprise……David Cameron of the Conservertive party took this one!…. Not Nick Clegg of the Liberal Party..
Gordon Brown came in last……..
British Prime Minister Gordon Brown fought to hold on to his job Thursday in a debate against the two men who hope to replace him, David Cameron of the Conservative Party and Nick Clegg of the Liberal Democrats. But he lost the debate decisively, according to two snap polls. 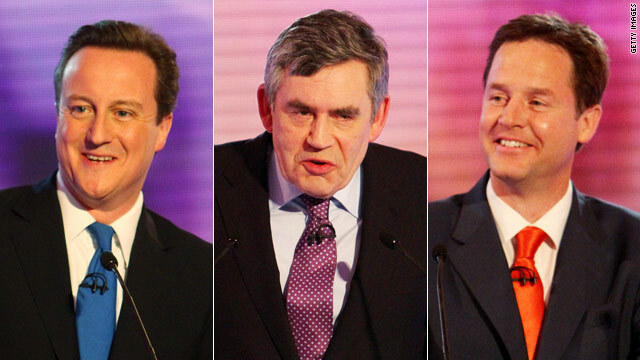 Cameron came first in both polls, with Clegg second and Brown third. But the debate performances do not seem to have changed voters’ minds about whom to back, according to one poll. Just over a third of voters say they favor the Conservatives, and the same number back the Liberal Democrats, according to the poll by ComRes for ITV News. Just under one-quarter prefer Labor, the poll suggests. Those numbers are essentially unchanged from the results after a similar debate last week. The Conservatives are ahead of Brown’s Labour party in most polls, but it’s not clear that the lead will be enough to give them a majority when voters cast ballots on May 6. A confident-seeming Cameron fended off Brown’s attacks, saying time and again that Brown was wrong on the facts. “Every leading business leader says we have got it right,” Cameron shot back. Congress is working on new auto safety regulations…. While some vehicle’s already have them…. Future vehicle’s will have ‘black boxes’ ( Event Data Recorders ) as a requirement…along with brake over-ride systems ….. The boxes are already in some vehicles and mimic the airplane boxes that aren’t black at all but painted day glow orange with white strips to be recognizable…. The boxes record several vital data facts, such as the vehicles, speed, seat belt’s status and if someone presses the brake at a particular time…. The Over ride systems would sense when the brake is applied and cut the engine speed….. There are other requirements in the proposed legislation…..
“This gives the National Highway Traffic Safety Administration the ability to protect the public and to deal with concerns that have been raised by Toyota and other manufacturers,” Waxman said in an interview. NHTSA’s recent record $16.4-million fine against Toyota for violations of U.S. law could have been as high as $57.5 billion if the proposed Waxman law had been in effect at the time. The Dog just heard it himself on CNN….. 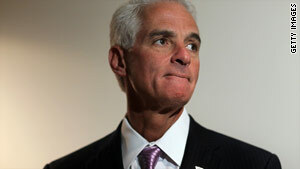 I agree with them that Crist is gonna have a hard time getting win….. The Dog wants Meek….but could live with Crist…a actual moderate Republican….. The modest crowd, low energy and slapdash feel to Florida Gov. Charlie Crist’s announcement Thursday underscored the needle-threading political exercise ahead for him. By bolting the Republican Party to run for the Senate as an independent—or more specifically, on the “no party affiliation” ballot line—Crist is taking on a low-percentage challenge that few before him have been able to accomplish. Political strategists in both parties are betting against it. With no party infrastructure to assist him, a hemorrhaging donor base and daunting electoral math, Crist must rely on his ability to cobble together an unlikely coalition of independents, moderate Republicans and conservative Democrats—a strategy that leaves almost no room for error. “On the numbers alone, he has a hard row to hoe,” said Steve Schale, a top Democratic strategist who ran Barack Obama’s 2008 Florida campaign. “I would never even argue it’s even close to even money. But if he had a one percent chance before, maybe he has a 20 or 25 percent chance now,” he estimated. “I do not see a path to victory. The ultimate Hail Mary,” said Tallahassee-based GOP consultant David Johnson, a former executive director of the state party. Independents comprise only about 18 to 20 percent of the Florida midterm election electorate, so strategists of all stripes agree that Crist will need to peel off at least a quarter to a third of voters from each major party to have a viable path to victory. And despite frequent gripes about rabid partisanship and government gridlock, voters in Florida, like nearly everywhere else, typically gravitate toward a candidate affiliated with one of the two major parties. The last time a third party candidate was elected to statewide office in Florida was nearly a century ago—in 1916. Not all Arizona Cops are for the new Bill……. 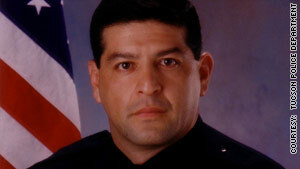 Officer Martin H. Escobar has filed a lawsuit over the state of Arizona’s new immigration law. CNN) — A police officer in Tucson, Arizona, filed a lawsuit against the state’s governor Thursday over a new immigration law. The law allows police to ask anyone for proof of legal U.S. residency. Arizona Gov. Jan Brewer and others who support the law say it does not involve racial profiling or any other illegal acts. Wanna Know Wednesday: The Past….From Up 4 Discussion….. This Wednesday we would like to focus our discussion on The Past. Is your partner’s past important to you? If so, why and what aspects of their past do you find most important? If not, why is their past of little or no importance to you? Please submit your poll answer below and, if you wouldn’t mind, elaborate on why you chose the answer that you did. Thank you for your input and we look forward to your explanations and a very intriguing discussion!